Are You Looking for Easy Cash Loans? Are You Looking for Easy Cash Loans? Call Mulah Today! The time for needing extra cash in a hurry is never convenient. Unfortunately, unexpected expenses are quite simply just that: unexpected. 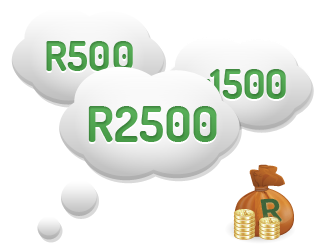 We cannot plan for them and if you are in the same situation as most of the South African population and don’t have a hefty savings to fall back on, you are going to need cash loans available to you. So, if it is easy loans you are looking for, you have come to just the right place. 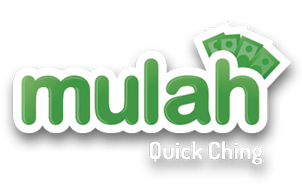 Mulah is unlike any other financial lending institution you have encountered. We ensure that our loan application and approval process is as quick and hassle free as possible for our clients. Pay-outs very often happen on the same day that the application was made (as long as the application is received before 3pm) and the cash is made instantly available via a direct deposit into your bank account. How Does Our Loan Model Work? It is quite simple. You apply for the loan and on approval, you will be provided with the much needed cash. Of course you will have already been informed of just how much interest is involved and how much you will be expected to pay back. Loans are paid back on your next pay day and there is no need for you to manually pay anyone – we set everything up for you and ensure that a debit order is set in place. We don’t believe in long term contracts and tedious monthly repayments at Mulah and you can expect to be able to loan any amount up to R2500 from us. If you are not entirely sure if taking out a loan with Mulah is for you, then why not direct some real time questions towards our loan consultants. You can access our live chat feature via our website which provides the perfect opportunity to ask the questions you have and to put your mind at ease. The Mulah team is all about quick convenience. If you have access to the internet then you can apply for a loan with us. When it comes down to serious details, we will require your ID number, full names and banking details. It is best to let us know if you have any judgements against your name or if you have been blacklisted, in advance. If you do apply online and your application is denied, don’t be disappointed. You can appeal the process and we will personally take a look at your application and details. We will, however, require further information from you such as your latest payslip, 3 months bank statements and a brief motivational letter. We also offer our clients the opportunity to top up their loan if they wish to acquire a little bit more before the repayment date. When it comes to easy loans, we at Mulah are the professionals. Our cash loans are designed to help you out of a sticky financial situation and you can expect for our friendly consultants to be there for you every step of the way. We encourage you to make contact with us at Mulah to discuss your needs and requirements and to set in place a quick and easy cash loan that will be beneficial to you. Obtain Quick Loans Online – Hassle-free! Easy Loans – Apply Online and Get the Cash You Need Today! Same Day Loans and Quick Loans – What Mulah Is All About!